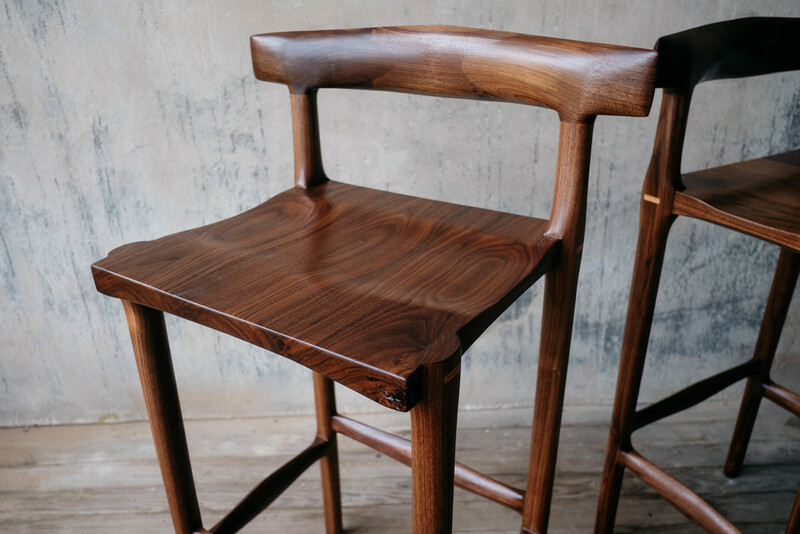 Sculpted using selected black walnut, each stool warrants extreme attention to detail during its construction and hand shaping process. The curved low profile seat-back offers comfortable back support for enjoyable, extended lounging. 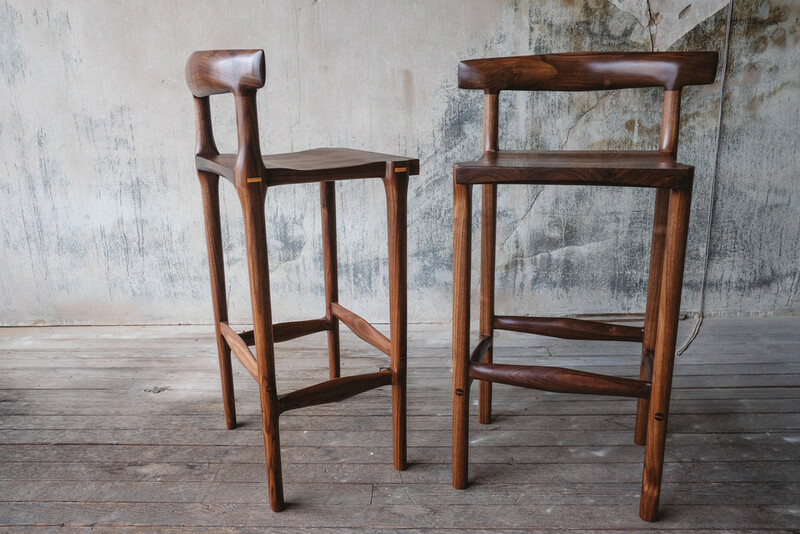 Featuring quality materials and the use of traditional wood joinery. 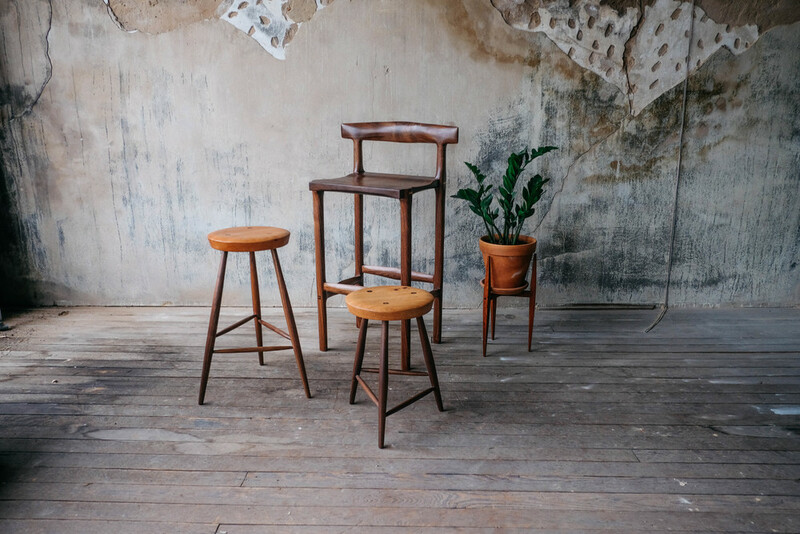 Each stool is branded with our makers mark as well as a signature and number/date created. Each piece we create is one-of-a-kind and made specifically for you in our Texas studio. While we typically use a limited selection of hardwoods, any of our products can be made in a variety of local woods upon request. 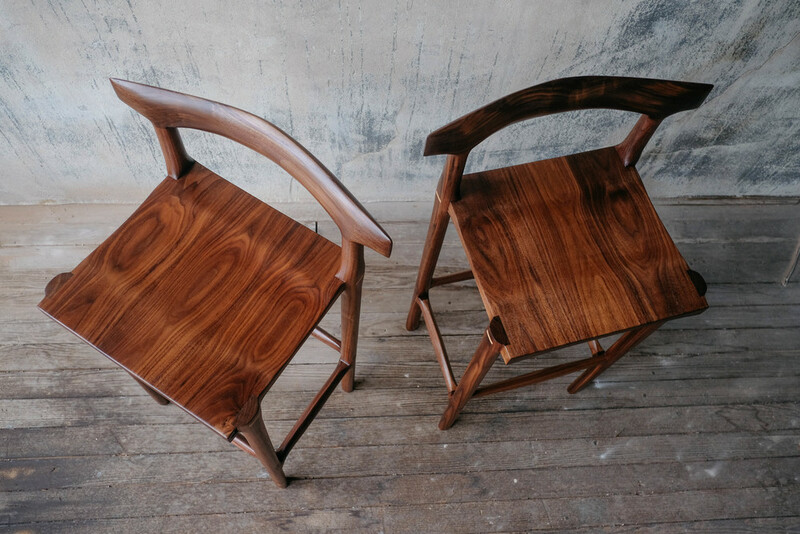 Please contact us at contact@pastranastudio.com and we can begin sourcing wood and walking you through our made-to-order process.